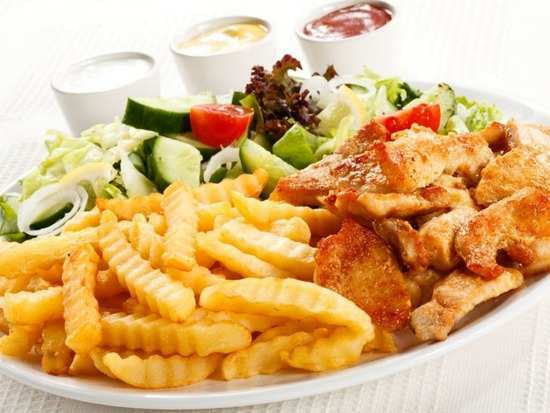 A new study has found restaurants around the world are serving oversized meals, which is contributing to the rise in obesity. International researchers, funded by FAPESP - Sao Paulo Research Foundation, came together to investigate this issue. For the study, the team measured and weighed the content of meals being served across various countries. Among the places they reviewed were Bangalore (India), Ribeiro Preto (Brazil), Accra (Ghana), Beijing (China) and Kuopio (Finland). The surprising results revealed 94 percent of the most popular dishes in restaurants and 72 percent from fast food places contained more than 600 kilocalories (kcal). Speaking about it,said, "Obesity is a world health problem caused by several factors, such as sedentary living, processed food and sugar intake, and overeating. Many people may confuse food craving with hunger. This study shows that any strategy to combat obesity should also consider these excesses," co-author of the study, Vivian Suen, told a news portal. "The fact is that many people who patronise these restaurants are overeating," she further stated. Data from the research also led to more insights about the way we are consuming food. "The findings refute two widely held ideas. We're not just eating the wrong foods but also overeating, and in terms of calories, a meal considered healthy may often increase the organism's energy balance and hence add more weight than a fast food meal," Suen said. Obesity has become a global epidemic, according to the World Health Organisation (WHO). It could lead to serious health issues like diabetes and heart disease. Globally, 1.9 billion adults are reportedly overweight and 600 million are obese.